JERUSALEM—After 42 days of negotiations and with only 90 minutes left before deadline, Israeli Prime Minister Benjamin Netanyahu managed Wednesday night to cobble together a wafer-thin coalition government, one which most political commentators say will have a short and fractious life. Had Netanyahu not been able to announce his coalition at midnight, President Reuven Rivlin would have been obliged to ask another Knesset member to try to form a government. 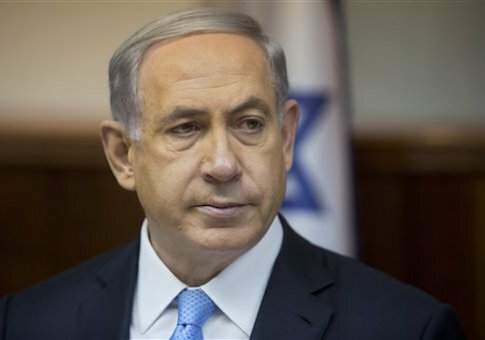 Netanyahu’s Likud Party came out on top in national elections in March, defying polls that had showed him losing. In choosing to leave left-leaning parties out of his new government, he anticipated no problem in building a stable coalition that included two parties with far-right agendas, one of them headed by Foreign Minister Avigdor Lieberman. In a dramatic press conference Monday, Lieberman announced that his Yisrael Beiteinu Party would not join the coalition because Netanyahu had not destroyed Hamas in last summer’s war in Gaza and had not been firm enough with the Palestinians in the West Bank. Without Lieberman’s party, Netanyahu’s coalition dropped from 67 seats in the 120-seat Knesset to 61, a majority of one. With the legal deadline to form a government just two days away, Netanyahu found himself at the mercy of the other far-right party, Jewish Home, led by Naftali Bennett, who upped his coalition demands. Netanyahu agreed to name Bennett’s deputy, Ayelet Shaked, as justice minister in addition to Bennett’s own appointment as education minister. Shaked, 39, a high-tech engineer, has been in politics only two years and is known for her strong right-wing views, which liberals fear will be reflected in the human rights legislation she is expected to pursue. A Labor Party Knesset member, Nachman Shai, said giving Shaked the post "would be like appointing a pyromaniac to head the fire department." Mouin Rabbani, a senior fellow at the Institute of Palestinian Studies, called the coalition "the most extreme in Israel’s history." Anticipating international reaction to her appointment, Netanyahu tried to curb some of the powers that normally are the province of the justice minister, for example, the appointment of judges. But with the clock ticking, he bowed to Bennett’s demands. Bennett, whose political base lies in the West Bank, has called for annexation of parts of the West Bank. Netanyahu’s advocates building only in settlements that Israel intends to keep in any future deal with the Palestinians. Political commentators on all of Israel’s television channels Wednesday night predicted Netanyahu would invite Isaac Herzog and his Labor Party (also known since the election campaign as Zionist Union) within a few weeks to join the government to provide stability and soften its ideological image. If that happens, there would likely be a shift in ministerial portfolios. No one has yet been named to replace Lieberman as foreign minister, and it is believed the position is being kept open for Herzog. Herzog has denied involvement in any negotiations with Netanyahu but acknowledged that some Labor Knesset members have, on their own, been meeting with Likud Knesset members. David Horvitz, editor of the online Times of Israel, noted Thursday that in calling for snap elections a few months ago, Netanyahu said Israelis "deserve a better, more stable government, a broad-based government that can govern." The one that is to be sworn in next week is not it, he wrote.